My terms are simple. 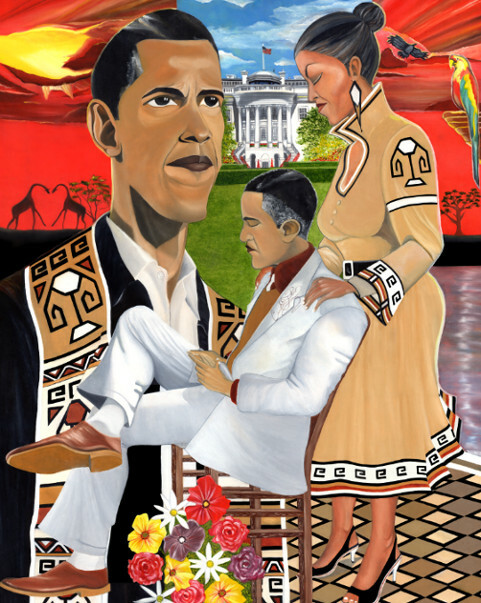 All participants must first purchase the Obama "Love Conquers All" painting to become a reseller. You must purchase from my official website or one of my reseller websites. One order per household. Typically a business allows an affiliate to earn a commission per sale. The company is responsible for paying the participating affiliate a commission. However, my business is the opposite. You the affiliate/reseller will pay me the artist $20 per sale. When you receive payment send the money order payment to my P.O. Box always with tracking. Proverbs 11:24 - Those who give freely gain even more; others hold back what they owe, becoming even more poorer. Want a duplicate website like mine? If you sign up directly at the GDI website below you will pay the $199 upfront. To avoid this sign up through me. You can use what ever hosting you wish. You can upload webpages using ftp server such as Filezilla and edit using Kompozer. I can do this for you within 24 hours for $15 dollar charge. If you have already purchased from me directly and you have signed up under my website hosting provider, I will upload my duplicate website template to your GDI hosting account FREE. Earn and Pay it forward.